Dubai, 12 April 2018: If there's anything to love about the end of the season, it's the spectacular consumer sales that have something for everyone. 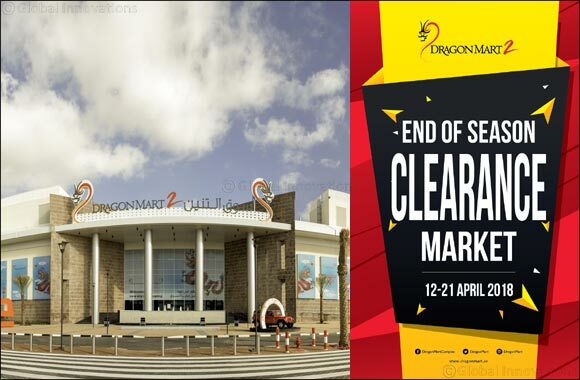 Visit Dragon Mart’s End of Season Clearance Market for the best bargains on a wide range of products from 12 to 21 April. The market, located at Dragon Mart 2, offers blowout deals on a everything from home décor to fashion and toys to cosmetics. What are you waiting for? Shoppers, head to Dragon Mart’s End of Season Clearance Market open daily from 10am to 10pm and for bargains galore all under one roof.